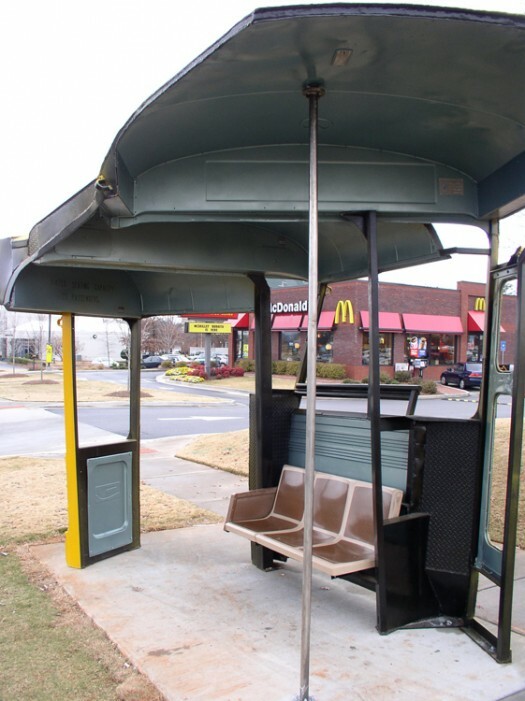 Sculptor Christopher Fennell created a bus shelter in Atlanta from three decommissioned school busses. 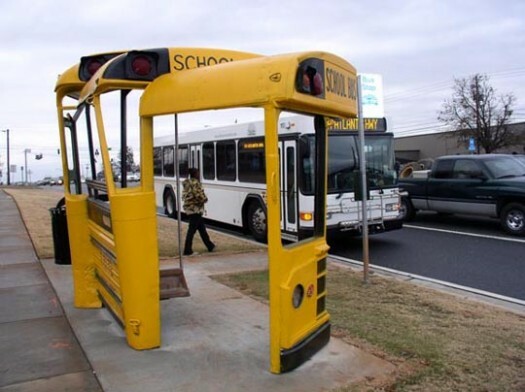 Exterior slices of a ‘62,’72, and ‘77 buses were joined together and the seating is from an old city bus. Interesting mix of creative reuse of materials and their context.